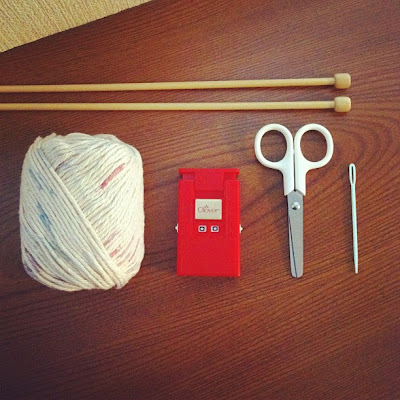 from knitting artist Mariko Mikuni at website"HoboNichi"
because she will teach one by one for beginners like me. 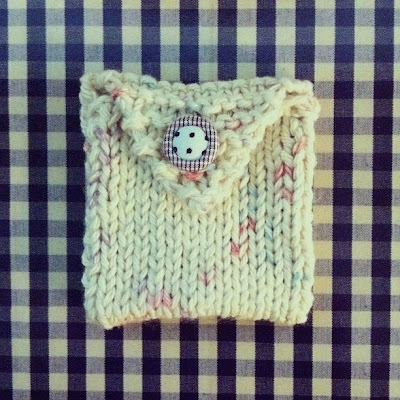 also knitted this eye drop pouch. I love to look at man knitting something. It looks lovely and also feel sorrow. so I knitted it yesterday. I think I couldn't knit this by myself. Then you could finish to knit it without give it up. a photo of beloved person or animals. so I will put it. and it looks lovely then sheep or alpaca's yarn. I suggest beginners to use cotton yarn for this pattern. Oh you have the Muji scissors! 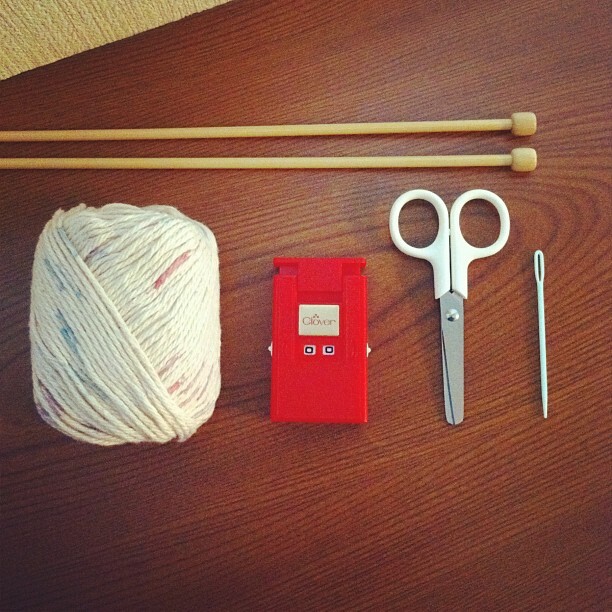 Those are in my knitting kit too! I am glad that you use same Muji scissors! !